Say that one three time fast. So I wanted an easy project. You know, something I could actually finish instead of it laying on the table or spread out over the house. Of course I could have just finished one of the many that are already started. This one was pretty fast with minimal snafus. I didn’t say there weren’t any. This is what I started with. I found it at the thrift store for a dollar. It had a 3D palm tree in there. But it was a shadow box. I opened it up and painted the frame. Ripped off that 3D beauty and then covered the backing with some neutral canvas that I had. I used spray glue then trimmed it with my rotary cutter. Then I just started arranging my shells. The smaller ones sort of get lost in the jars so this is a good way to display them. I thought I had made sure they would fit behind the glass but one did not. I had to swap it out. I used hot glue so he peeled right off. This is how it turned out. I am pretty happy with it. I’ve been wanting to do some sort of gallery wall somewhere. Maybe I’ll include this in it. So how many projects do you usually have going at one time? One? Three? Ten? You did a great job for your 1st shadowbox. Just gorgeous and what a nice selection of shells. I think it looks great. Wonderful way to use special found shells. Great job, love it. I usually have at least half a dozen projects on the go at any one time. Some have to sit there for a while before I finish them. How many projects do I usually have going at a time you ask? Honey, I'm, not going there, but it can be quite scary! Your shadowbox looks great, I've run into that same snafu when making some for myself of putting at least one thing that the glass won't fit over. Such a great project and a money-saving one, I've seen these selling for a couple of hundred dollars and just shake my head in wonder. Great shadow box. I have the one that I just put all the shells in like a pile. I might be pulling it out...not sure. I always have lots of projects going on in my mind. A beautiful work of art. Great job. Anita, I love it!!! The canvas at first looked just like sand-it is great. You are right the little ones get lost in the jars, so this idea works just perfect!! Have a great weekend! What a beautiful project! You did a great job. 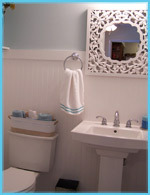 Hi Anita, I always like using seashells in decorating and your shadow box is wonderful! I have a boatload of projects just waiting for me to get around too. Have a fun weekend. What a great idea this is. Love it. I had a couple large coffee cans full of shells but I left them at the old place when I moved. Just no room for things like that here. One of these days I'll find some more on the beach here. Loved this one. 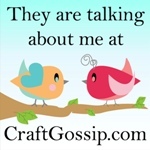 I have a few shadow boxes with shells I have made so I know what you mean about the culprit! You learn that with the first one. Your's came out terrific. You were pretty handy with taking that no so nice looking 3d palm tree and transforming it into a cute coastal shadow box!! Have a wonderful weekend my friend!!! This came out wonderfully! Love it! Well, that's cool! The canvas looks like sand, too! How many projects? 17. More or less. Sewing takes precident today. very nice. I love this. we also made a seashell shadowbox for some shells we found in FL. I am making this idea for my daughter-in-law to hang in her newly redone master bath forher birthday. My shells come from many different beaches too, my only problem will be deciding on which shells to display. Thanks for stopping by today. I love hearing from you.